Want to Dance - what now? We ask that everyone who would like to join Colours of Dance registers before they come. This is so we can ensure everyone is placed in the correct class, that there is a space in class (our maximum in any class is 16 students), and that our Fire Regs are adhered to! To Register, go to the Class List, find the class you would like to join and click 'register' and then fill in the form. After you have registered for your chosen class, you will be comtacted to confirm your application is received and to invite you to the next available class, so that you may trial it. We recomend that all students try a class before they decide to commit for a term or more. Children: Children's classes are charged termly and are very often full, and so there is a waiting list. For children's classes, we invite them to try a class when a place is available and we hold this space in reserve for that child. We ask parents to confirm after the class if this is indeed what they are looking for. Sometimes it is suitable that a child tries a second class, or a second dance style in order to make a decsion about which class is right. After the trial class, if the child would like to continue, then this trial class will have formed the first lesson of their course and fees will be charged incorporating this class. If a child does not want to join the class, we remove your registration, release the place and make no charge. Adults: Underwriting adult classes works a bit differently to the children's classes for a variety of reasons. So, when adults wish to try a class, we ask them to pay £10 on arrival for the trial, after which they may choose how they wish to proceed. Adult classes may also be paid for termly (the most cost-effective for the student), or in chunks by use of our Pay Ahead cards. Our recommendation is always to commit to regular weekly attendance, as all our classes are founded on the principle of cumulative learning. However, we also accept that for reasons of employment or family it may not be possible to attend every week, and where this is the case, we offer the Pay Ahead scheme - classes may be purchased in chunks of 4/6/8/10 hours and used up within the term or two. The £10 paid at the trial class will be deducted from the term fee or the pay ahead card cost, as it will form the first lesson of the course. If you do not wish to return, we will remove your registration and that will be that. For your trial class, you should be sent some information in your invitation email to guide you in what is appropriate for your particular class, but in general, if you haven't danced before, leggings or shorts & t-shirt with bare feet are a good start. All long hair must be tied back up off the neck and away from the face - this is for reasons of hygiene, safety in participation (hair in your own other the eyes of others) and so the teacher can view the neck and placing of head and shoulders at all times. 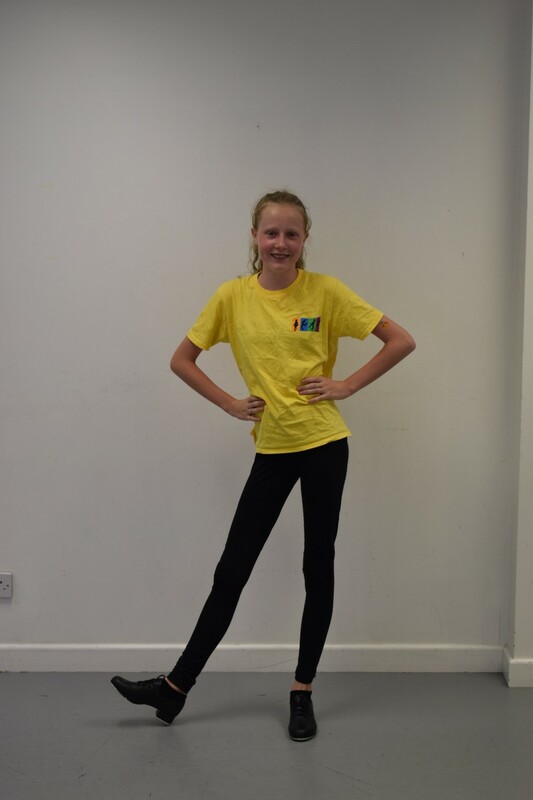 Once you have confirmed your registration you will need to invest in appropriate practise clothes - we have a uniform, details of which can be found on our 'Our Dance Uniform' page. You can get advice from your teacher and also from Attitude Dancewar, the shop which supplies our uniform (and which offers a discount to CoD pupils!). It is really important that dance students learn about warming up and cooling down in ways that protect and care for their bodies, given the exercise that they do. These are the same principles they will learn at school in sports lessons (I hope), but we are particularly careful as dancers. To warm up, students should try to increase their heart rate a little to improve circulation and energy into all the parts of the body out to fingers and toes! Gentle jogging on the spot, shoulder rolls, knee flexions - these are all good. When our classes start we will have a formal warm up exercise, but students should take responsibility for their own pre-warm up. To cool down and transition into the next environment after class, students should put on clothes - even if it is warm. During classes they should have worked hard, and their bodies will benefit from a little cosseting immediately after class. Sometimes it is good to have a gentle stretch with calm breathing at the end of class or in the changing room before putting on street clothes. Students should not leave the building dressed only in their practice clothes, as the body will cool down too fast and muscle stiffness can result. It is usually sensible to re-hydrate at the end of class and perhaps have a snack too. At the start of the lesson, students may wish to wear an extra layer on top of their dance clothes to help them stay warm, as they start their classes (and because they will walk into an airconditioned room), and in winter we particularly recommend this. As the class starts, they will do warming up exercises and after these, they will either want to take off their 'warm ups' or will be asked to by the teacher. This is at the point where it is safe for the student to remove those layers and also because at this point the teaching becomes more focused on technique and more of the body needs to be seen for fine adjustment. There is no uniform for 'warm ups', but there are clothes that for reasons of safety or shape/fabric are simply not suitable. So below are listed a sample of permitted warmups, although this is not exhaustive. Please ask before you buy if you're in any doubt. There is a huge range of warm-up stuff about these days - it's hugely diverse and fun, so there's plenty to choose from!